100% cow's milk.A mild tasting Greek table cheese made exclusively with cow's milk. This is a great choice for those wanting a feta style cheese made with cow's milk instead of sheep & goat's milk. Ideal for Greek salads or as a filling for filo pastry pies. 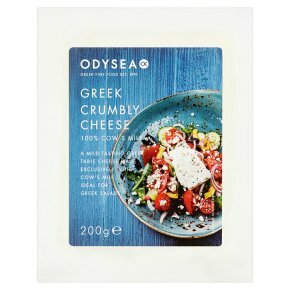 Ideal for Greek salads or as a filling for Filo pastry pies.